Wisconsin was considered part of Michigan Territory until 1836, a year before Michigan entered statehood. 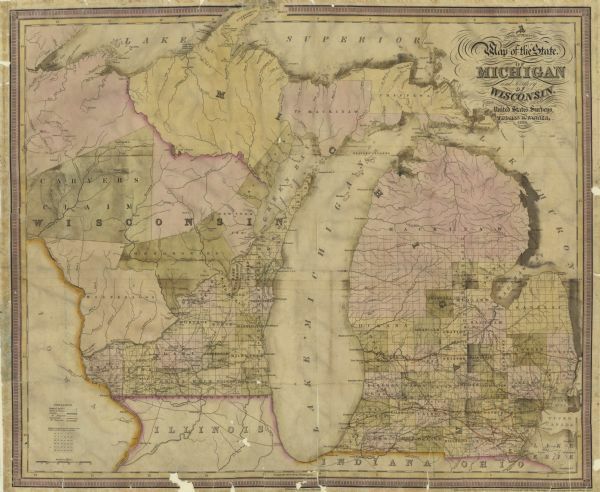 Drawn in 1839, this map shows the state of Michigan and Wisconsin Territory. It shows towns and villages, canals and railroads.